The large, energetic and cosmopolitan Atlanta is a booming regional center for the growing and increasingly prosperous American South. Originally Atlanta was founded as a transportation crossroads, as railroads converged on its end-of-mountains location and radiated in all directions. Today’s Atlanta still plays that role, both for ground and air transport, as it originates more flights than any city except Chicago. 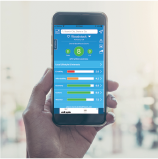 But more generally, Atlanta has boomed, first as home to such giants as Coca-Cola and Delta Airlines, and more recently as a vital regional and headquarters business center for large corporations. Home offices for Home Depot, UPS, CNN and Bellsouth are in the area, and almost any company you can think of has an operation here, and some are quite large. Culturally, Atlanta sits at the crossroads between the old and new South, as old economy and agrarian interests mingle with modern corporate America and numerous technology and research interests. Atlanta has a rich diversity of socioeconomic backgrounds, and is full of northerners drawn by the booming economy, pleasant climate, activities, and cultural diversity. Some locals call it the “northernmost southern city,” but make no mistake—despite the corporate towers and fast pace, Atlanta retains its southern roots. The regions to the east and south are more industrial, while the west is a mix. Some are inside the Perimeter (“ITP”) around the upscale Buckhead, more are outside it in suburbs such as Sandy Springs, Dunwoody, Roswell, and Norcross and Marietta, spread along the major radii running north across and outside the Perimeter (“OTP”). The sprawl is going still further north, beyond Marietta to Kennesaw, beyond Roswell to the more upscale Alpharetta, and so forth. Most people commute to somewhere along the Perimeter, not downtown. 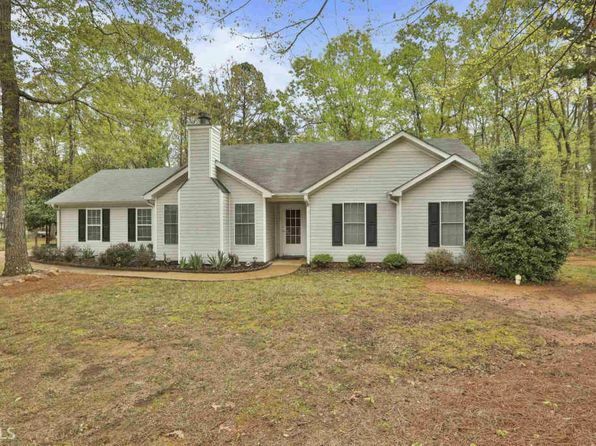 Housing is one of Atlanta’s most attractive features. The area has some of the highest quality residential properties anywhere per dollar spent, particularly for a city of this size. Nice family-style homes are affordable thanks to inexpensive labor, materials, and business costs. Generous, well-built houses on attractive wooded lots are the rule, not the exception. The area looks more attractive than most, but some areas are starting to get crowded. There is plenty to do in Atlanta and surrounding areas, with an abundance of rich cultural amenities and nightlife; the list is too long to share here. Atlanta has some of the country’s best restaurants, and eateries in general are plentiful and reasonably priced, and professional sports are an obsession even if performance has been spotty. 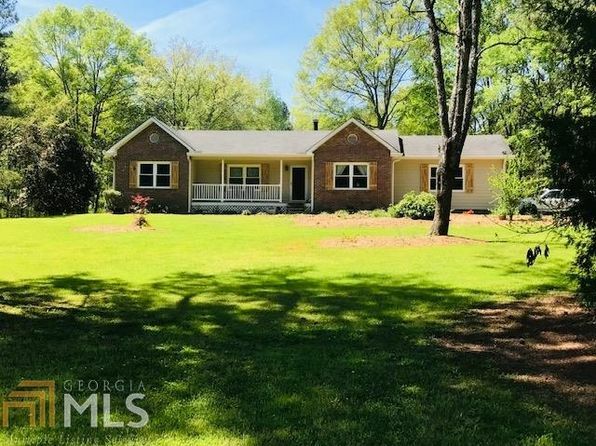 Atlanta is a particularly strong choice for families and career-minded middle class seeking good single-family housing in a lively big-city environment. But those residents must increasingly be willing to tolerate the side effects of rapid growth. Physically, Atlanta is located in a transition zone between forested hills to the north and more level agricultural areas to the south. Nearby mountains and distant water moderate the climate somewhat resulting in a mix of subtropical and continental types. Summer temperatures are warm but moderated by elevation. There may be prolonged periods of late summer heat. Winters are mild with short cold spells. Active precipitation occurs during spring with thunderstorms, some severe, lasting into July, with frequent dry periods into late summer and fall. Most winter precipitation is rain with occasional snowfall. Ice storms and freezing rain with newsworthy damage and travel disruption occur 2 out of every 3 years. First freeze is mid-November, last is late March. #1 High Gas Prices - Which Cities are Hit the Hardest? The median home price in Senoia is $247,100. Browse Homes in this Range. 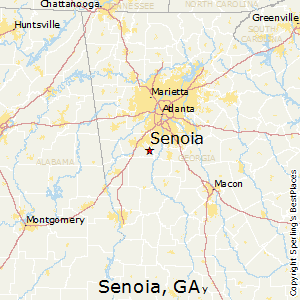 Compare Senoia, Georgia to any other place in the USA.